Holidays are an exciting part of a child’s life, and Valentine's Day can make winter a little brighter! As students celebrate and explore the fun of Valentine's Day through activity centers, a loving feeling will soon fill the air. This adorable bear has a valentine just for you! Print out this sheet to get your child in the Valentine's Day spirit. This prekindergarten worksheet sends kids on a heart hunt! They use their observation skills to study details and find matching hearts. Roses are red, violets are blue, I love Valentine's Day, and you should too! 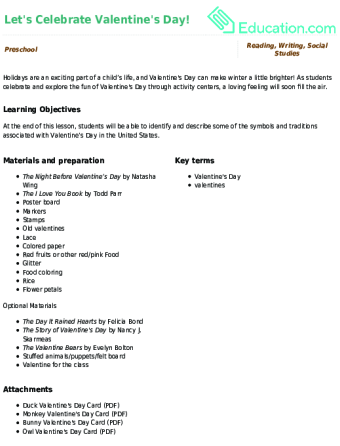 In this lesson, students will take part in various Valentine's Day activities, incorporating simple writing exercises and maths into the holiday fun. 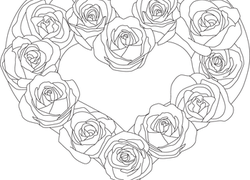 Say "I love you" with a special heart coloring page this Valentine's Day. Featuring a challenging tracing activity, this cute coloring page helps strengthen kids' hand muscles and improve hand control. Addition, counting, and number writing practise is wrapped up for Valentine's Day learning with this maths worksheet. 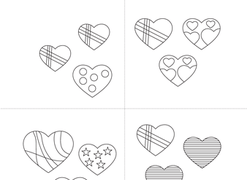 Mazes are fun, problem solving games that engage fine motor skills and concentration; try out this Valentine's Day themed page for your young learner! The squirrel is holding seven heart balloons for you to colour on Valentine's Day. 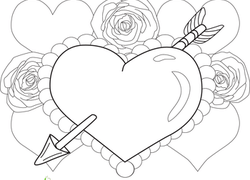 Our valentine heart coloring page features a heart with an arrow, roses, and more hearts. 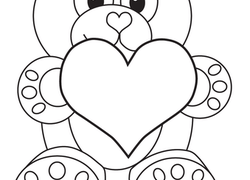 Decorate our valentine heart coloring page with your little valentine. Roses are red and this worksheet is true...to helping your child practise beginning addition with you. Count numbers and add them up this Valentine's Day. 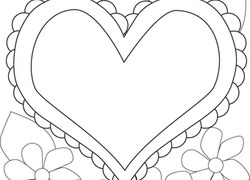 Geometric shapes, fun flowers and a big heart fill this Valentine's Day coloring page up. Colour in these delicious Valentine treats as part of your Valentine's Day celebration. 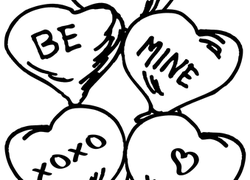 Celebrate Valentine's Day with this simple kindergarten coloring page. This love mandala will get your little valentine excited for Valentine's Day. colour in this love mandala, featuring teddy bears, hearts, roses, and chocolate. 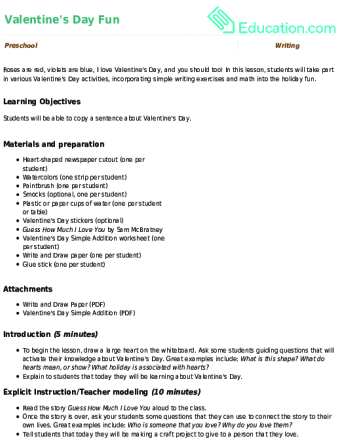 Try pairing learning with a holiday theme, like this Valentine's Day simple subtraction worksheet! 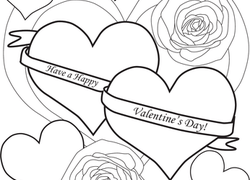 Wish friends and family a Happy Valentine's Day with this sweet, heart-filled coloring page. Bunnies and bonbons make subtraction learning a little more fun whether you're introducing the concept of taking away or looking for more practise for your kid! This sweet and simple heart picture makes the perfect hand-made Valentine's Day card. 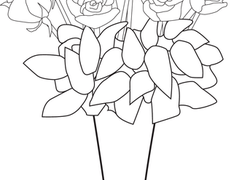 This coloring page features a bunch of roses in a vase. What colour will your child choose to brighten them up? Take the fun and colour of Valentine's Day and add in this subtraction worksheet for fun simple subtraction learning. 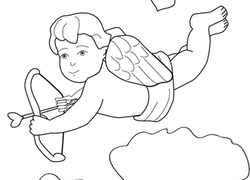 This cupid coloring page will get your little love bug all ready for Valentine's Day!